Some Future Shop employees in Canada have been laid off and told to reapply if they want a job at Best Buy. In Thunder Bay, they might face stiff competition, with Target and Teleperformance employees also out of work. One labour lawyer says it's time to rethink employment law. 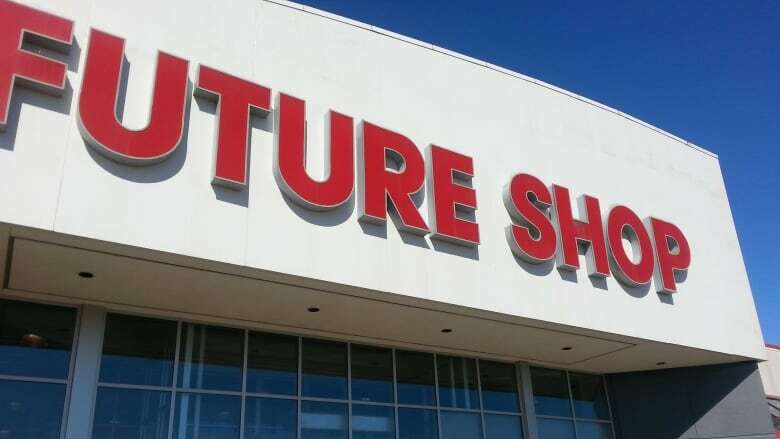 Thunder Bay's former Future Shop store will reopen as a Best Buy on April 4, but it might not have all the same staff and that's a growing problem for retail workers, according to one labour lawyer. Best Buy said across Canada, approximately 500 full-time and 1,000 part-time positions will be eliminated as a result of its consolidation efforts. Some Future Shop employees have been laid off and told to reapply if they want a job at Best Buy. The growth of online retailers means even more brick and mortar stores could close in the future and more staff could find themselves out of work, said Michael Lynk, a labour lawyer and associate professor of law at Western University. "The downside of that is that it's going to continue to ensure that we're going to have a very weak economic recovery," Lynk said. "That there's going to be more employees with some skills, but not a huge number of highly-educated professional skills who are in the market trying to find ways of trying to earn a living when the traditional ways in which we buy are beginning to evaporate." But such layoffs are perfectly legal, said David Richards the assistant dean in the faculty of business at Lakehead University, in Thunder Bay, as long as Future Shop obeys the law in terms of how much notice and severance it must provide employees. "This is an opportunity for them to select the people that they want to be working there," he said. The changing economy may require a different approach, Lynk said, adding that the Ontario government has already begun consultations on reforming labour laws to keep up with the changing economy. Laws need to be flexible enough to adapt, while also giving unions the power to organize, protecting employee rights, and ensuring workers have access to retraining to keep up with labour market demands, he added. "There has been an argument made, and I think it probably has some strong basis to it, that there ought to be more payback, either directly from corporations or indirectly through higher corporate taxes, to ensure this ongoing training," Lynk said. It's increasingly difficult for those on the lower end of the labour market, he added, because globalization has taken manufacturing work out of the country and changes in technology are moving retail online. People in smaller centres might also benefit from longer stays on employment insurance and larger settlement packages in the event of large layoffs, he said.